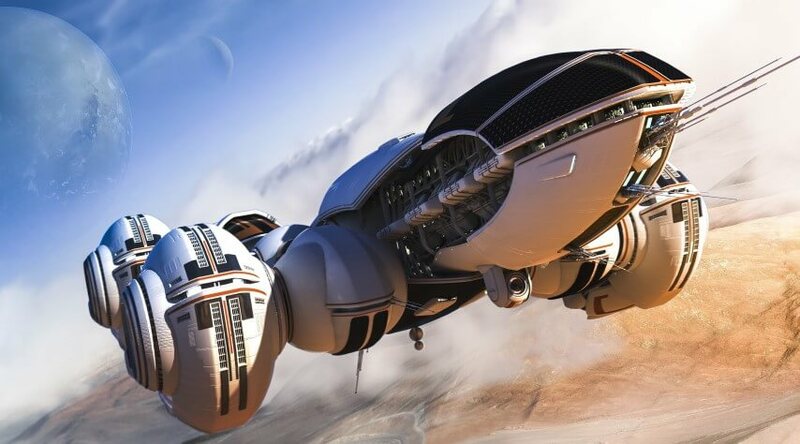 Who do you think that invented the modern-day concept of the Spaceship? Until recently it was believed that the scientific concept of a vehicle capable of flying outside Earth’s atmosphere propelled by ‘rockets’ was conceived by Russian scientist Konstantin Tsiolkovsky and his American colleague Robert Goddard in the late nineteenth and early twentieth century. These two gentlemen were inspired by science fiction stories and the epic book “From the Earth to the Moon” written by Jules Verne. But is that the actual truth? Who invented the modern-day concept of a Spaceship? Ancient India’s greatest ancient texts are called the “Vedas” and these writings literally talk about “flying ships” that visited their continent over 6000 years ago. Composed in Vedic Sanskrit, the texts constitute the oldest layer of Sanskrit literature and the oldest scriptures of Hinduism. According to experts, the Vedas speak about two categories of flying objects that visited ancient India in the distant past. These mysterious objects are described in Sanskrit writing, where you can find incredible devices and technologies that were not supposed to be present on our planet for thousands of years. In the Mahabharata, the Puranas, and the Ramayanas, we find more descriptions of mysterious devices that surpass technological understanding of ancient man. But can that be scientifically proven? I believe this question could open up an extensive debate in that matter. There is no doubt in my mind that Leitch deserves a place of honour in the history of spaceflight. The fact that he was a scientist is the key to this story. He wasn’t just making a wild guess. Not only did he understand Newton’s law of action and reaction, he almost dismissively understood that a rocket would work more efficiently in the vacuum of space; a fact that still caused Goddard and others to be subjected to ridicule almost six decades later. Godwin states that Leitech not only understood the laws of action and reaction proposed by Newton, but he also proposed that a rocket would work more efficiently in the vacuum of space.